Jonathan Holstein and Gail van der Hoof sparked renewed interest in quilts as an art form through their 1971 exhibit, Abstract Design in American Quilts, at New York City's Whitney Museum of American Art. For Jonathan, this exhibit was the culmination of a lifelong interest in the arts and Americana that began when he was growing up in antiques-rich central New York State. Although no one in his family made quilts, he saw them in many homes; they were a part of the American folklore that fascinated him then, and they still do. Jonathan maintained a strong interest in early American life and its artifacts through his years at Harvard College, where he was an English major. He attended law school after college and later worked as an editor on a trade magazine and as an art photographer, eventually becoming professionally interested in Native American art. When he met Gail van der Hoof in Aspen, Colorado, in 1967, they discovered their mutual interest in modern art. Gail joined him in New York City in 1968, where their circle of friends included many artists. On weekends, they would escape to Pennsylvania and spend time looking at American antiques. They soon discovered troves of quilts in which there was little interest, and pieced quilts became an obsession for them. They found the quilts astonishingly similar to many modern abstract painting. In color, form, line sense of composition, and scale, they could see obvious visual paralleles to the modern art they loved. The quilts, however, had not been made by formally trained artists, and it seemed that the two worlds had never touched. In the early 1970s, they discovered Amish quilts, and these quickly became of prime interests. They bought a little house in Lancaster, Pennsylvania, that Gail restored, and they searched that area of the state for Amish quilts, eventually amassing a large collection of examples from the classic period of Amish quiltmaking. They added examples of Midwestern Amish quilts as those became available on the market. What started as a weekend amusement very quickly became a passion. They studied dated quilts to learn the fabrics and designs of the time, and they began to collect. Jonathan remembered, "They were affordable, they were everywhere, they were wonderful!" They talked wit anyone who could give them information and read extensively in the limited sources on quilts that existed at that time. It all seemed to Jonathan like a mixture of fact and folklore. He used the rigorous analysis of art history disciplines that had seldom been applied to quilts. Jonathan and Gail shared their discoveries with artist friends who helped reinforce their feelings that this was an extraordinary body of indigenous American design. They tested their thesis by exploring quilts from other regions. In New England, they found that q2uilts had different characteristics from those in Pennsylvania, but the were of comparable visual interest. This encouraged them to believe that the visual invention of quiltmaking was in fact a national phenomenon, and they set off on cross-country collecting trips. Their collection grew to the point that "in some rooms we could only walk between the rows." Jonathan and Gail began to consider mounting an exhibition of their quilt collection. Art historians in the early 1970s barely took notice of quilts, and people usually thought of quilts in a bedding context. To change this image, Gail and Jonathan wanted their quilts displayed on the walls of a major art museum, like paintings. Their proposal to the Whitney Museum of American Art came at just the right time to expand the scope of the museum's exhibits from fine art to the decorative arts. The groundbreaking exhibit Abstract Design in American Quilts opened in June 1971 with sixty-two pieced quilts. The planned exhibition was extended until mid September because of the favorable response from leading art critics. As Jonathan said, "By moving them from beds to walls, we changed their meaning; people interested in art but not necessarily in American art, folk or otherwise, could begin to assess quilts in terms of color, form, and line." In October 1972, a second exhibition, entitled American Pieced Quilts, opened at the Renwick Gallery of the National Collection of Fine Arts in Washington, D.C. Later, the gallery added a number of quilts and divided them into two groups, which traveled to twenty-one American museums and two English venues under the auspices of the Smithsonian Institution Traveling Exhibition Service (SITES). Jonathan Holstein's book, The Pieced Quilt: An American Design Tradition, a combination of historical study and aesthetic analysis of American quilts, was published in 1973. In 1975, he assembled an exhibition for the Shiseido Corporation in Tokyo and the American Cultural Center Kyoto. The next year Jonathan and Gail sent an exhibition to the Kyoto Museum of Modern Art. These exhibits of American quilts were the first to held in Japan and created widespread interest in quilting there. In 1980, Jonathan and Gail assembled the first exhibition of Amish quilts, a group of thirty from Pennsylvania and the Midwest. Called simply Amish Quilts, it was seen in ten museums in the United States. Jonathan wrote the introduction and quilt commentaries for the first state quilt survey, the Kentucky Quilt Project's Kentucky Quilts 1800-1900, published in 1982. In 1983, he helped select quilts from the Texas State Quilt Project for the exhibition Lone Stars: A Legacy of Texas Quilts 1836-1936 and wrote the foreword to the catalog, published in 1986. 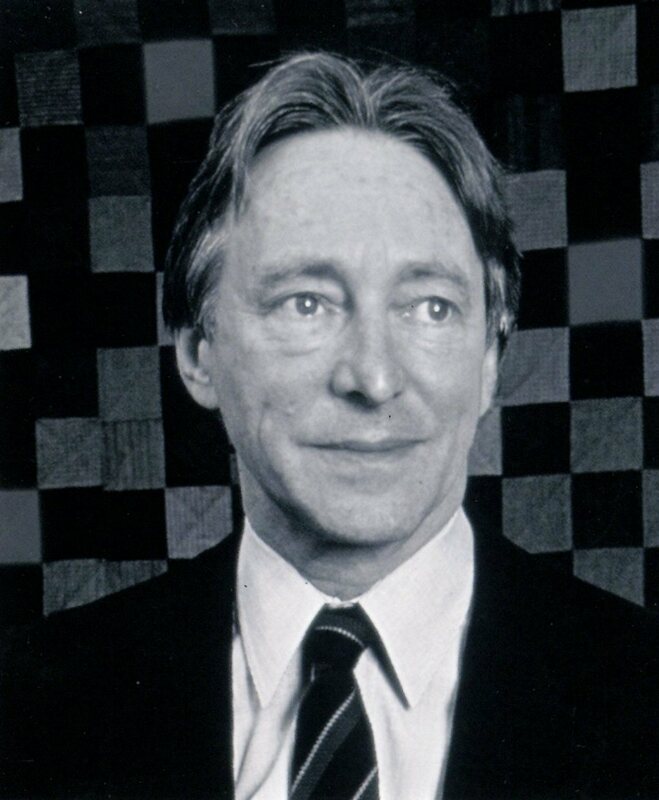 In 1983, his article "Collecting Quilt Data: History from Statistics" investigated the possibility of computerizing the data from all the state quilt projects. But this idea would have to wait until the late 1990s, when the Internet would provide opportunities for such broad-ranging projects. On the occasion of the twentieth anniversary of the Whitney Musuem exhibit, Shelly Zegart and Jonathan Holstein organized Louisville Celebrates the American Quilt, a symposium accompanied by five exhibitions. Abstract Design in American Quilts was a reinstallation of the original 1971 Whitney exhibition, and A Plain Aesthetic: Lancaster Amish Quilts featured quilts from the earlier Amish quilt exhibit. An outgrowth of this symposium was the movement to create an international, comprehensive quilt information source whose establishment became one of the primary goals of the alliance for American Quilts. From 1992 to 1995, together with Shelly Zegart and Eleanor Bingham Miller, Jonathan co-edited The Quilt Journal: An International Review, for which he wrote a number of articles. In 1995, he joined the planning committee of the Alliance for LAmerican Quilts. Since 1996, he has served as an adviser to the International Quilt Study Center at the University of Nebraska, Lincoln. In 2003, Jonathan announced that his historic collection of quilts and archival materials would be donated to the International Quilt Study Center, in a joint venture with its founders, Ardis and Robert James. Included in this extensive collections of more than four hundred quilts are the sixty-two quilts from the original Whitney Museum show and more than one hundred Lancaster County, Pennsylvania, and Midwestern Amish quilts. Jonathan Holstein served as a driving force in the revival of quilts in the 1970s and initiated many "firsts" in the quilt arena. His work continues today, as he writes, lectures, plans exhibits, juries quilt exhibitions, and advocates for the scholarly study of quilts on the international level. ---------. Abstract Design in American Quilts: A Biography of an Exhibition. Louisville, KY: The Kentucky Quilt Project, Inc., 1991. ---------. American Pieced Quilts. Catalog for the Smithsonian Institution travelilng exhibit, 1972-1974. New York; Viking Press, 1972. Holstein, Jonathan, and John Finley. Kentucky Quilts 1800-1900. Louisville, KY: Kentucky Quilt Project, Inc., 1982. Holstein, Jonathan, Eleanor Bingham Miller, and Shelly Zegart, eds. The Quilt Journal: An International Review. Louisville, KY: Kentucky Quilt Project, Inc., 1992-1995.